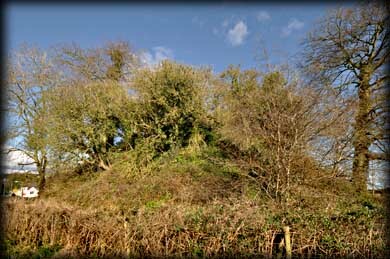 This impressive 13th century Norman Motte is situated in the townland of Candlefort overlooking the village of Inishkeen. 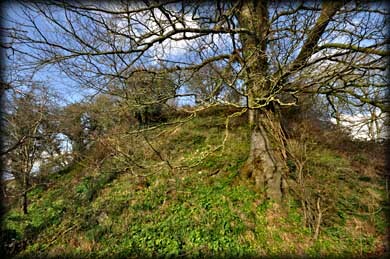 The Motte is now hidden amongst trees, so the best time to view it would probably be in the autumn or spring. There are slight traces of a circular bailey in the field to the east of the motte. I have read that there may be a souterrain built into the mound, but I could not see any evidence of it during my visit. 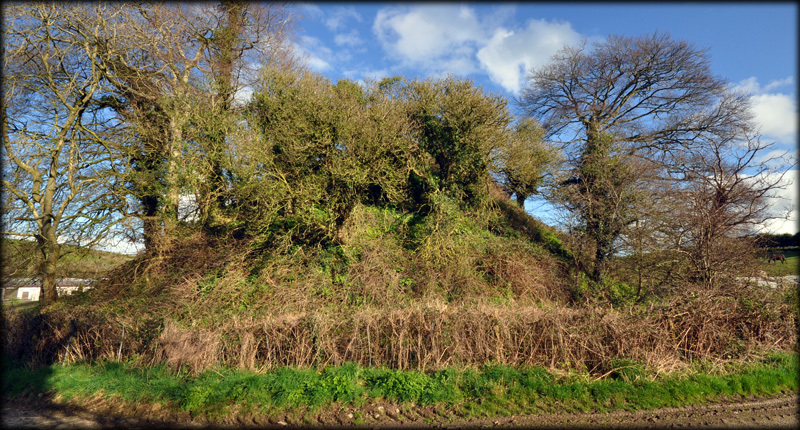 I had no problem visiting the motte, the landowner was very friendly, please ask for permission before visiting. Situated: From Ardee head north to Tallanstown and Louth. In Louth take a right turn for Inishkeen. 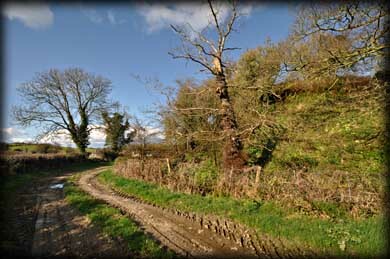 The Motte is on the left as you enter Inishkeen. Discovery Map 36: H 9318 0678. Last visit March 2012.